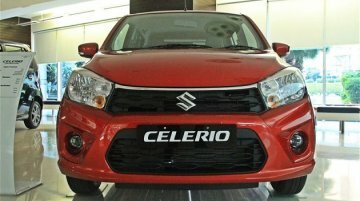 Maruti Suzuki has upgraded the safety of the Celerio and Celerio X to make it compliant with both new and upcoming safety norms. The company had rolled out a similar update to the Eeco at the start.. Launched in February 2014, the Maruti Celerio has been a popular option in the A2-segment (avg. 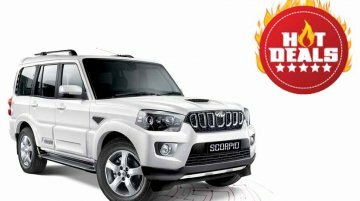 monthly sale from Sept 2018-Feb 2019 - 8,115 units). 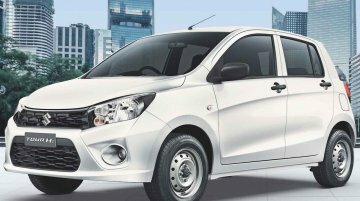 It received a mid-cycle facelift in October..
Maruti Suuzki has launched a taxi variant of the Maruti Celerio - the Maruti Celerio Tour H2. 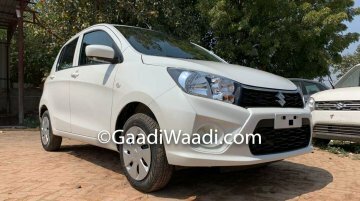 The Maruti Celerio Tour H2 is based on the latest facelifted Maruti Celerio that was introduced in..
Maruti Suzuki launched the 2018 Maruti Celerio in India in October 2017. 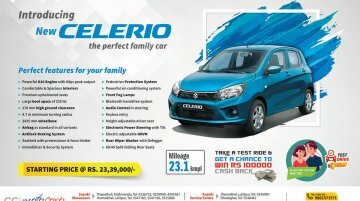 Earlier this week, CG Motocorp, the authorized distributor for Suzuki in Nepal, launched the Indian made 2018 Suzuki Celerio..
MSIL has expanded the Celerio range with the launch of a new variant christened Maruti CelerioX. 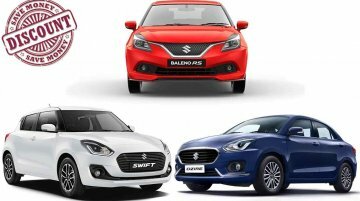 It is based on the facelifted model that was launch in early October. 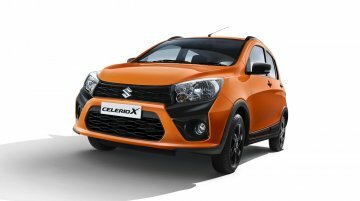 The CelerioX is essentially a..
Maruti Suzuki will expand the Maruti Celerio range with the Maruti Celerio X this year. 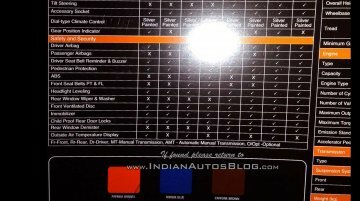 Leaked brochure scans shared by IAB reader Tanmay have completely revealed details of the Maruti Celerio.. 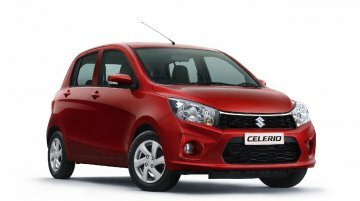 In time of the festive season, Maruti Suzuki has given the Maruti Celerio a facelift to drive up the sales. 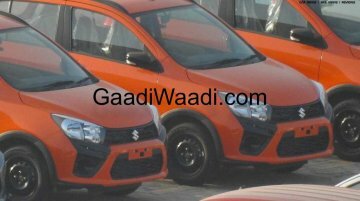 Here’s a visual comparison between the 2018 Maruti Celerio and the 2014 Maruti..
Brochure scans of the soon to launch Maruti Celerio X have surfaced online on Team-BHP. 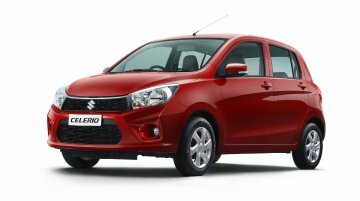 The Celerio X is essentially a cross variant based on the Maruti Celerio facelift that just went on sale in..
MSIL has launched the facelifted version of the Maruti Suzuki Celerio in the country, with prices starting from INR 4,15,273, ex-showroom Delhi. 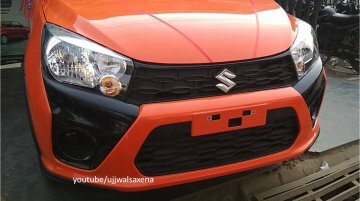 Overdrive reports that bookings for Maruti Suzuki's first sub-4m pseudo crossover are open across all dealerships in India for a minimum deposit of INR 10,000. 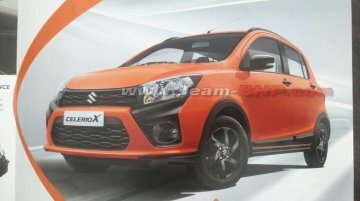 The Maruti Celerio X is reported to go.. 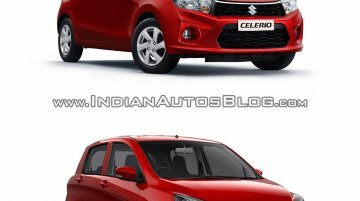 Along with the Maruti Celerio X, Maruti Suzuki will likely launch the facelifted Maruti Celerio. 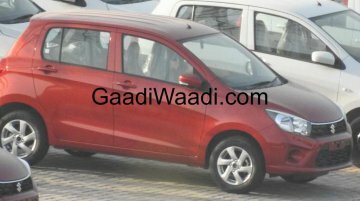 The refreshed 2017 Maruti Celerio was recently spied at a dealership yard, courtesy GaadiWaadi. 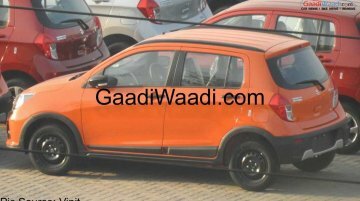 The Maruti Celerio X was recently spied completely uncovered at a dealership yard, courtesy GaadiWaadi. 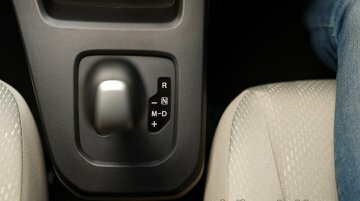 The new spy shots released by the publication fully expose the car’s exterior.